"Mini Bowhanger Folded 8"" Extended 14"" PS6534 on sale from AllEquipped Store"
> Shooters Supply>Archery Store>Crossbow Accessories>"Primos PS6534 Mini Bowhanger Folded 8"" Extended 14"""
"Primos PS6534 Mini Bowhanger Folded 8"" Extended 14"""
When bowhunting movement is a killer. 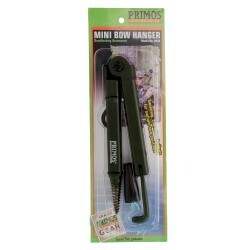 With the Primos Bow Hanger you never have to turn your back to get your bow. 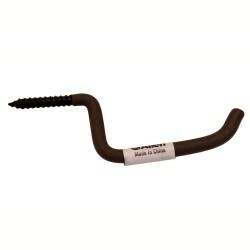 The Bow hanger easily mounts into the tree with its self-starting screw-in threads. 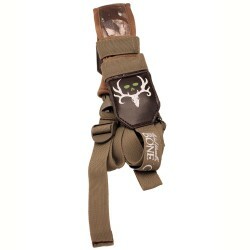 It positions the bow away from the tree at the ready perfect so you can reach out while still watching your quarry. 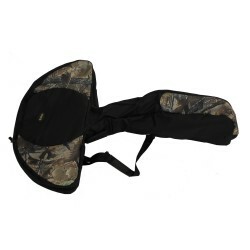 Its swiveling hook is rubber coated for quiet use and allows you to position your bow for a custom set-up.  The pivot point is made so if you do not have the hanger in the tree perfectly level the bow will not swing away from you. 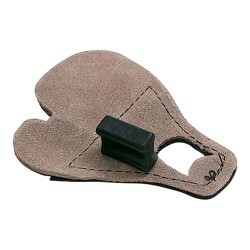 Two rock solid accessory hooks allow you to use one tool for your bow range finder binoculars and Rattlin' Horns.